We are currently looking for craft vendors for our Annual Christmas Bazaar, which is on Saturday, November 18, 2017. This Christmas Bazaar is a fundraiser for the German-Canadian Benevolent Society, which is a non profit organization that supports senior living in residential care. The event is well supported by many members of our community’ approx 500 people attend within a short amount time. If you would like more information, please don’t hesitate to ask. Film: „Der Kaufmann von Venedig“ Tragic comedy from Shakespeare playing in Venedig in the 1600. We will serve prune cake. Presentation: „Canoeing through the arctic wildernis“ Freda Mellenthin tells about her and her husbands canoe trip at the age of 65. This risky adventure took them from the forlorn Back River through Nunavut‘s tundra and the Polar Sea to King William Island. Her book „Love in northern rapids“ was published in 2015. Celebrating Fall with music, songs, poems and stories. The Edelweiß Musikanten will be playing; at the piano are Wolfgang Araszewski, Richard Huber; and the German Poetry Club. Presentation: Music Therapy (in English) Examples demonstrate the positive influence of music on our bodies and how music is used as therapy. Featuring German food, Gluehwein, cakes, Christmas baking, chocolates, preserves, craft sales, jewelry, gift baskets, books, bottle booth, raffle, auction and much, much more! First Nations Elder Bruce Robinson, Todd Schierling, Judy Villeneuve, Marvin Hunt, and SOS BC executive director Douglas Dunn cut the ribbon for the grand opening of the transition suites. Surrey, British Columbia SOS Children’s Village B.C. is thrilled to announce the grand opening of their final two suites for youth struggling to transition out of foster care and into independent adulthood. This momentous moment in the history of foster care in British Columbia – with a June 17th ribbon cutting by Mayor Linda Hepner and MLA Marvin Hunt – is the culmination of three years of intensive capital campaign fundraising of $450,000 to build five permanent suites. Success has been achieved through the generosity of individuals and organizations who understand the incredible need for this project. Every year in British Columbia, more than 700 teenagers age out of the foster care system. As soon as they turn 19, the only support system they knew is no longer available to them, and they are expected to begin taking care of themselves. But at just 19, with no confidence, no skills, and little support or resources, it is setting these teens up for failure. And far too many of them do fail, ending up homeless, living on the streets, addicted, or in trouble with the law. Indeed, over 40% of youth living on the streets of B.C. have been in foster care. That’s why SOS Children’s Village B.C. is excited about the completion of construction on the final two (of five) independent living accommodations. Separate building entrances, bathrooms, living spaces, and kitchen areas will allow young adults or young mothers to live an independent lifestyle, with support from a youth worker. A survey by the Federation of BC Youth in Care Networks found 64% of youth transitioning out of care said housing support is what would help – or what would have helped – them the most. Most transition programs require a referral through the Ministry of Children and Family Development. The SOS B.C. program accepts referrals from other professionals, schools, social workers, parents, and most importantly, from youth themselves. The high-risk youth in the Youth Housing Year Intensive Program will have greater social connections – the number one desire of youth who have aged out of care – by developing relationships with the other children, youth, caregivers, and staff in the SOS Village. Unique to SOS B.C.’s program, youth will be able to access the other therapeutic services offered to the Village families including: learning clubs; music lessons; camp, recreation and cultural programs; and cognitive, expressive arts, and Neurofeedback therapies. These wrap- around support programs will contribute to a more normalized experience of transitioning to adulthood for teens who cannot live with their biological parents. Moreover, the SOS Children’s Village Thrift Store Foundation can outfit a young person with clothes, school supplies, furniture, and more, all at no charge. Participants will be provided with the business attire needed for successful job interviews. 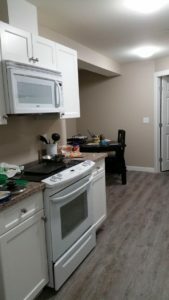 “There are financial incentives to pursue education, and rewards including everything required for their own apartment: furniture, appliances, kitchenware, computer, TV, etc. – an ‘Apartment In A Box’ that they can take with them after graduating from our yearlong program,” said Douglas Dunn. A stable living locale will allow youth aging out of care to positively connect to their communities. With the location of the housing at an SOS Village, the teens will be healthier both physically and mentally, with access to the extensive green space and facilities of the Village which include a sports court, dedicated and stocked art/music studios, and more. Once youth graduate from the Youth Housing Year Intensive Program, SOS B.C. promises lifelong engagement through their Aftercare Program. Once a child, youth, or caregiver has been part of SOS, they are part of the SOS family forever. Celebrating the 30th birthday of SOS Children’s Village BC on June 10, 2016! SOS Children’s Villages is the world’s largest non-governmental, non-denominational child development organization and cares for fostered, orphaned, or abandoned children. It has existed for over 65 years with presence in 134 countries and 572 Villages. British Columbia is home to the only SOS Children’s Village in Canada. SOS Children’s Village BC provides homes, a supportive community, and programs to help foster children and youth in need grow into caring, self-reliant adults. Please see Redevelopment Proposal here. Sie haben Gelegenheit Fragen zu stellen und Ideen vorzuschlagen. Am 27.Mai Film: <MONSIEUR CLAUDE UND SEINE TÖCHTER>, mit viel Humor, Vorurteilen, kulturelle Unterschiede und voll mit menschlichen Schwächen! Sie können unsere Programme auch in der Hauspost oder unserer Weibseite nachlesen. BITTE BENUTZEN SIE DEN SEITENEINGANG. Folgen Sie der Beschilderung, rechts runter in Richtung und durch den unterem Parkplatz. 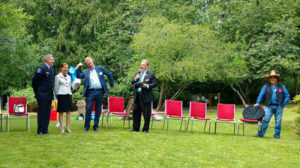 Vancouver, BC – Vancouver Coastal Health has signed an agreement with the German Canadian Benevolent Society to rebuild and expand the German Canadian Care Home in South Vancouver. The existing facility will be demolished and replaced with a larger care home with 18 additional beds, for a total of 160-beds, 10 of which will be private pay. The new facility will have several small homes within a single building. This model is known as ‘home and neighbourhood design’ and is considered a best practice in residential care. 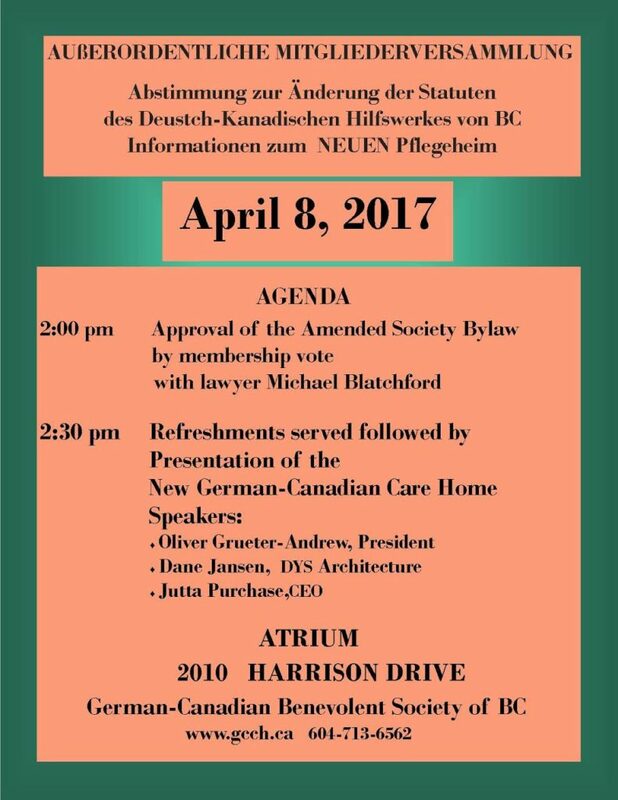 The German Canadian Benevolent Society envisions the new care home will also provide services to seniors living in the community, which may include adult day care, therapeutic bathing, rehabilitation services, education for informal care givers, and social activities that encourage community interaction and participation. Completion is scheduled for late 2022. Vancouver Coastal Health will provide operational funding for the new facility. The existing care facility has been serving the community since 1969. It includes Vancouver’s largest special-care unit for residents with dementia. The population is ethnically diverse, with 30 percent of the residents of German descent. “Although the home has served the community well for many years, the existing facility is outdated, with long narrow hallways and many double rooms,” said Laura Case. The current care home will close in 2018 to prepare for demolition and construction. VCH and the German Canadian Care Home will develop comprehensive transition plans for each resident to allow for a smooth transition to another facility. Wherever possible, residents will be placed in their preferred location. Staff will also be supported during the transition. With the signing of the agreement with the German Canadian Benevolent Society, Vancouver Coastal Health has completed the procurement phase of their Regional Residential Care Rejuvenation project. It follows a rigorous process to replace several hundred beds in residential care centres that no longer fully meet resident needs, and to significantly increase the number of beds in communities that currently don’t have an adequate supply for the population they serve. To date, Vancouver Coastal Health has signed agreements for 943 beds in eight new and expanded facilities over the next six years. VCH, like many health authorities, is planning ahead to meet the complex residential care needs of people living in our region who can no longer live safely at home with support. As you may know, SOS Children’s Village is non-profit organization whose mission it is to provide stable homes, a supportive and healing environment and village-based family care programs to help foster children and youth in need grow into caring, self-reliant adults. 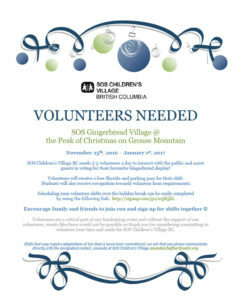 Each year SOS puts together a group of volunteers that can interact with the public, hand out information about SOS Children’s Village BC and assist the guests with voting on their favourite gingerbread display! Every volunteer receives a free parking pass and gondola ride for Grouse Mountain. The Gingerbread village runs from Friday, November 25th 2016 until Sunday, January 1st, 2017. It is open Monday through Friday from 11:00 am – 6:00 pm. We are looking to fill 3 – 5 volunteers at the Village per day. 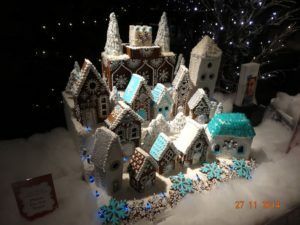 If you could assist us in spreading the word and our poster to ensure we have volunteers to support our Gingerbread Village, we would be so grateful for the kind-heartedness.